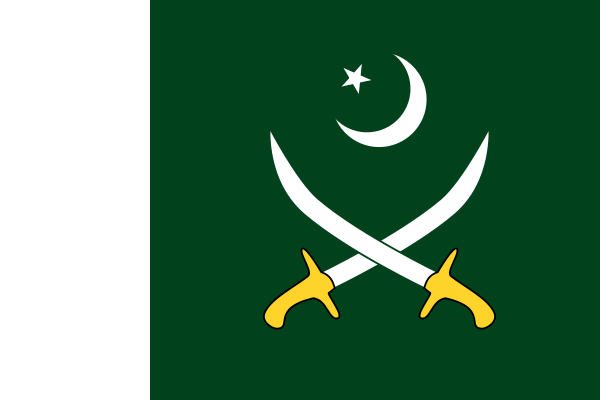 The Inter-Services Intelligence was created as an independent unit in 1948 in order to strengthen the performance of Pakistan’s Military Intelligence with the coordination with in the all three forces. ISI was formerly in the Intelligence Bureau (IB), but now it is an independent supreme agency of Pakistan. ISI’s headquarters are located in Islamabad, and currently the head of the ISI is called the Director General- who has to be a serving Lieutenant General in the Pakistan Army. The main task of ISI is to protect Pakistan and its interests against enemies and to gather information related to foreign and domestic affairs with the co-ordination of the three military services (i.e. Pak Army, Pak Air-force & Pak Navy) and surveillance. Here I will tell you two ways to be a part of Intelligence Service of Pakistan or career in ISI. First way is to join the armed forces of Pakistan like Pak Army, Navy or PAF. This is called as indirect way. Other way is to join directly Intelligence Services of Pakistan through Federal Public Service Commission of Pakistan. If you have a dream to become a part of intelligence services of Pakistan then it is required that you should first join armed forces of Pakistan like Pak Army, PAF and Navy. All armed forces can join intelligence services whether officers, junior officer or non-commissioned officers. After joining the armed forces of Pakistan you have to apply for admission and appear in basic test. Upon clearing the test you will be sent into the Inter-Services Intelligence School. After finishing the intelligence course, you can apply to be posted in Field Intelligence Units (FIU) or in the directorate of Military/Air/Naval intelligence. Then you have to wait for a temporary posting in intelligence services. Senior officers are rank as majors. This is another procedure to be a part of intelligence service of Pakistan. You can directly join intelligence service of Pakistan because jobs are advertised and then Federal Public Services Commission (FPSC) conducts various examinations testing then selected candidates are invited for an interview which is conducted by a joint committee comprising both ISI and FPSC officials. Then you have to go through medical fitness test and other psychological tests. Recruited agents then go to the Inter-Services Intelligence School for basic training then they are employed. However civilians are offered Joint Intelligence X (JIX), Joint Intelligence Bureau (JIB) and Joint Counterintelligence Bureau (JCIB) departments. These were the two basic methods of join intelligence services of Pakistan. You can share your views with us in the comments section below. Salam. I have great interest to join pak isi as a civilian from my childhood. I requested that please give me a chance. My qualification is under B.COM. Slam to them which are surfing and surviving their life for Pakistan. I am wondering that people are trying to get jobs in isi on this forum. May be they are well aware to reach their favorite/ambitious track to perform or may be not the right way to approach. Well I am also trying to get employment in Pakistan’s most repute able and sincerely serving govt. organizations but I could not get the right way, although I have 13 years of experience in I.T sector. If this platform is really supporting to get the right direction to serve better for Pakistan then I would also like to leave my cell number. Respected sir I want to join isi . A lot of threat of Pakistan different agencies like CIA, RAW, MOSSAD, NDS, Mi6 . These agencies are enemy of Pakistan . These agencies work togather to weak Pakistan. So I want to protect my country Pakistan . I have a sharp brain . I’m true patriot . By the way I’m a student of law BA LLB . Death or life only one choice. This is isi .